Times have changed in the lettings market. Until fairly recently, renting a property was generally seen as a fairly short term thing in the run up to purchasing a property. But with changes in lending practices over the last few years, people are looking at rental properties as a place to call home for a longer term. This has seen a change in priorities and requirements, so we've listed some points here to help you match your offering to the desires of tenants. Tenants are not looking to renovate, so if you’re lucky enough to find a fixer-upper, make sure the property is fixed and upped by the time you make it available for rent. 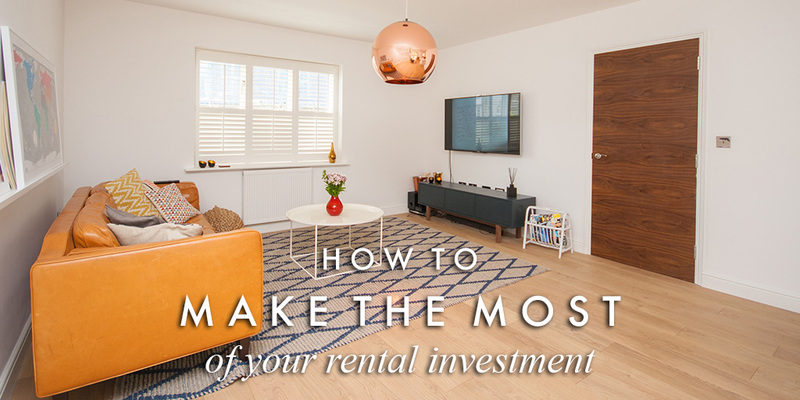 The better a property looks, the greater the demand, the faster it will let, and for the highest rent. Being close to the town centre for shopping, socialising and culture is a regular request from tenants looking to rent in Berkhamsted and Tring. If you're looking to capture the London commuter market, being convenient for a train station is also important; properties within a short walk of the station will generally rent for the highest prices. The good news is that far more people in Berkhamsted and Tring are seeking unfurnished rental properties than furnished ones, which means you don’t need to fork out for sofas, beds, tables or chairs. However, even tenants with their own furniture will expect the property they rent to have floor coverings, curtains or blinds, and white goods in the kitchen: you should look to include a good quality washing machine (and in apartments a washer/dryer is preferable), a dishwasher and a fridge/freezer. If you are offering a furnished rental property, it's important that whatever items you are including have broad appeal, are of good quality and match up to safety regulations – most modern furniture will pass the test, but many vintage or retro items may not. Useful places for inspiration include ideas websites like Ideal Home and Living Etc; the show homes at new property developments; and furniture stores like Habitat, Heals and even IKEA to see what's popular. Making do with a cheap dishwasher or washing machine for 6 months is one thing, but with people now looking at the longer term, there is more scrutiny over the quality of appliances and fittings. You'll also find that people care more for your property when you're not seen as skimping, and that better quality appliances and fittings last longer which means less expense, time and hassle on repairs. You'd do better to concentrate on offering a well maintained, well presented and well specified home than to simply look for the biggest property you can find. Large and scruffy is rarely requested and people will pay a premium for a beautiful property they want to call home. Our busy branches at Berkhamsted and Tring look after properties for sale and to let. They would be pleased to hear from you should you be looking for further advice.